My family and I decided to celebrate Happy Mother's Day with my mom and grandma on earlier day before Sunday, Mother's Day. We are looking for the best restaurant or cafe, finally we chose the Damasara Uptown because there are many cafes and restaurants, that is why many people still are going there! 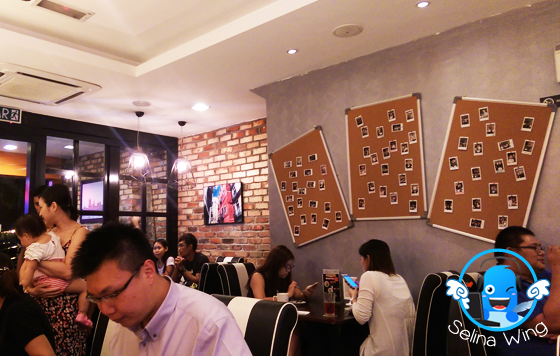 First time, my family and I like to try the Porto Bello, Western cuisine restaurant in Damansara Uptown, Petaling Jaya. I saw a lot of people are inside the Porto Bello Cafe so suddenly, then my family and I like to see how first if we can get the seat inside! But, we have to wait for 10 minutes because too many people are waiting for the dishes! 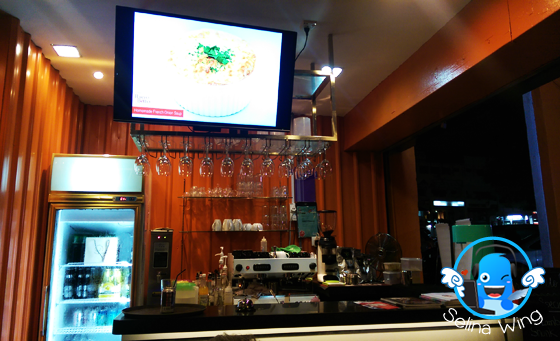 Hmm, the customers hardly communicate with the waiters, e.g the waiters are weak in English and Chinese, if they are new, they should practice to remember/ learn everything from the menu and drinks. Luckily, the manager and chef boss get to manage the customers' situation so they won't let them wait so long time...I surprised that Porto Bello Cafe get a private room, which can be used as the party birthday or meeting friends or private family celebration, you reserve a private room if you want! Portobello, as a type of a mature, very large cremini mushroom as my mom explained to me. 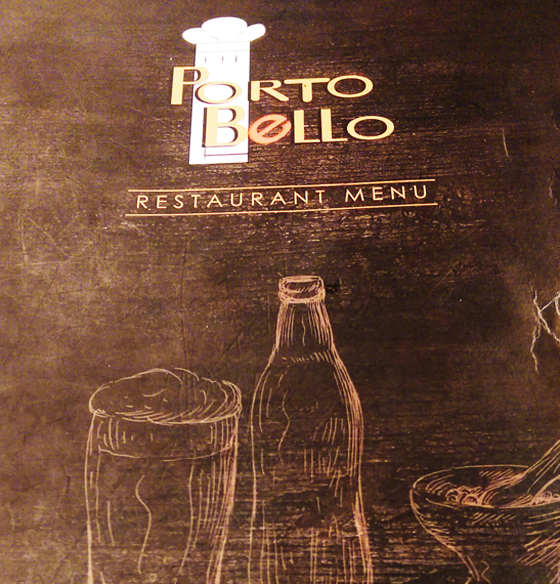 That is why this restaurant used this name as "Porto Bello", can be popular, due to the signable dish, "Porto Bello Chicken Pie" only. 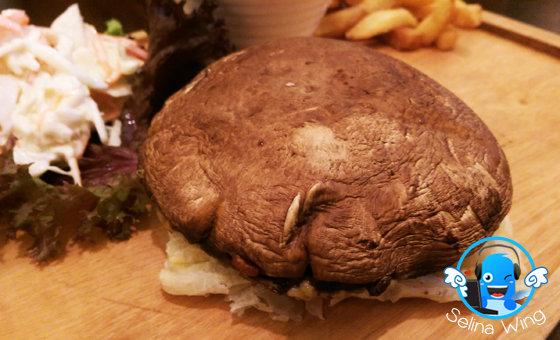 For me, a big mushroom looks as burger chicken! 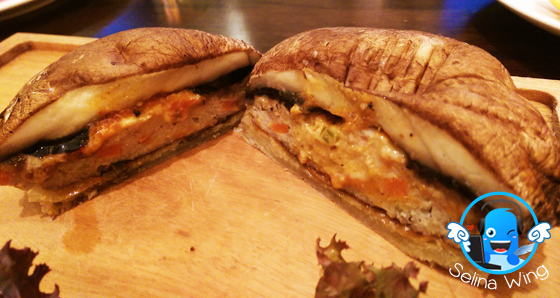 It get a thick hidden layer of marinated chicken with the Oriental flavours! My mom and grandma really love to eat the Porto Bello Chicken Pie because it's easy to bite! My sister and I are Salmon lovers, but hmm...I surprised that salmon is not very big, just like long salmon only. So, it is expensive. But, the taste of salmon steak looks nice, and soft! 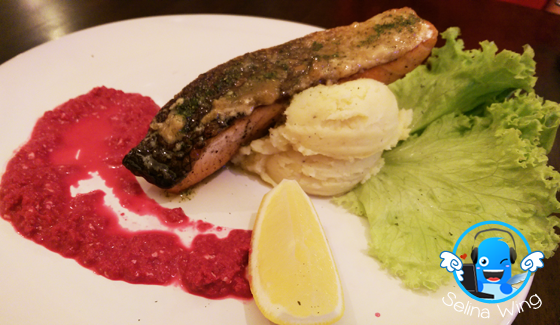 Served with vibrant beetroot puree, slice of lemon, mashed potatoes, leaves & beurre blanc butter sauce. 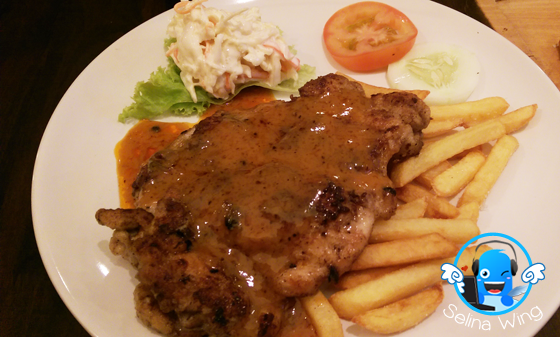 My grandma like to eat "Mongolian-styles Chicken Chop" because the taste of sauce are very sweet and delicious! Served with fries and salad. 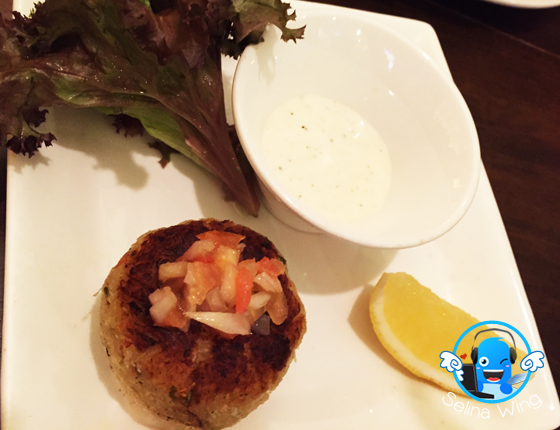 First time, my mom see the legendary crab cake so she wants to try the appetizer as she like the sweet of crab meat with tomato relish and herb aioli for creamy touch. But, it still not enough to full her stomach. My family and I hope that the legendary crab cake - 3 pieces, not one only, if for the family members who share it together. My grandma and mother are very happy when my family celebrated, "Happy Mother's Day, MOM!". We also enjoyed the Premium tea, "Pink French Rose", they can refill water for the tea pot on many times.